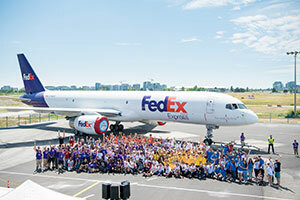 We are excited to announce the 10th annual Plane Pull for Sight Vancouver! 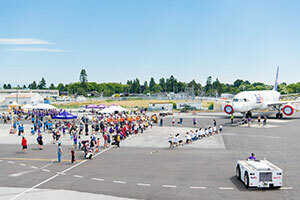 Last year was our biggest Plane Pull Vancouver event ever, helping set a new fundraising record...and we need your help to continue the amazing success! 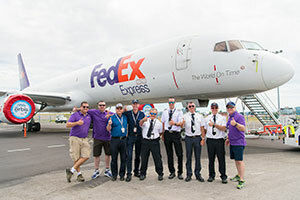 Be prepared to bring your determination, strength and positive attitude to help your team pull a 60-tonne FedEx 757 cargo plane along a 20 ft course in the least amount of time! Aside from the pull itself, the event will offer other fun games and activities for all participants and their families to enjoy, such as a giant obstacle course, bouncy castle, face-painting and many more exciting things to come! Apart from pull participants, kids will also have a chance to show their superhero strength and pull the plane in two time slots during the day. Each team can have up to 20 participants. Team Captains will first need to register their teams and set up a team homepage. When a team homepage is complete, participants can search for their team name on the site and register under it. An individual page will be created for you with a link that can be sent out to family and friends to gather donations for yourself and to contribute to your team’s total! There is a $25 registration fee, which will be added to your individual fundraising minimum, as well as your team’s total, to help kick start your fundraising!